Smoothies are a great way to boost your fruits and veggies daily intake. It makes a delicious quick breakfast, a nice refreshing snack, a wonderful healthy dessert or a super post-training drink. Not only the flavor combinations are infinite, you can prepare different recipes to benefit from specific health components from its ingredients. One other great thing about smoothies is that to the opposite of simple juices, it keeps all the natural fiber, which help cleansing the digestive tract. The powerful detox foods that go into it help your liver to detox naturally, and they can help you stay healthy and look great. Rich in digestion supporting ingredients, this smoothie will help prevent bloating and digestive stress that can sabotage your tummy flattening efforts. Antioxidants in berries are known to help to fight wrinkles and other skin ageing signs. Berries are also a great way to control blood sugar that can sabotage your complexion. This smoothie also contains Omega 3, to fight inflammation, as well as vitamins E and C, both renown to help the skin. This protein-rich and minerals-filled smoothie will give you long-lasting energy. Cinnamon will help to control your blood sugar so your energy level won’t crash too quickly. This vitamin-rich green smoothie contains calcium, magnesium and other bone building minerals to keep your bone strong and healthy. Rich in vitamin A, C and zinc, this smoothie can increase the production of white blood cells and antibodies to get your body ready to resist this season’s infections. Studies have proven that a beta-carotene rich diet can make your complexion glow, and that particular skin tone is usually considered healthier than a regular skin tan. This smoothie can help you get that healthy glow without risking your skin lying under the sun. Feel the power of this detox foods-rich smoothie. Very rich in antioxidants, this smoothie will help to support your liver to detox naturally and help your body stay healthy and young longer. 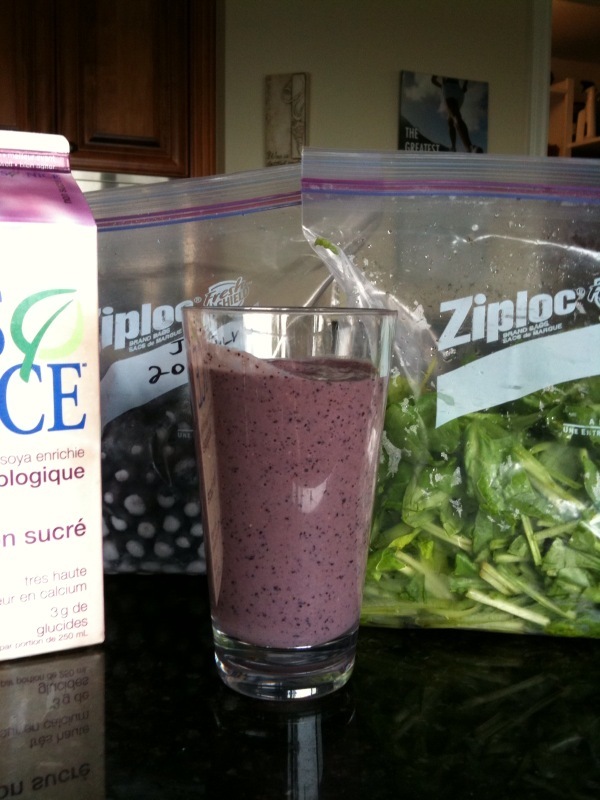 What do you add to your Smoothies? This is one of my go-to workouts when I’m dreading my time on the treadmill. It keeps me guessing for a solid 45 minutes, so it’s over before I know it! And I feel like I’ve really worked hard when I’m done. I’m almost always a sweaty mess at the end! Changing my speed every two minutes keeps my interest and motivation high while running on the treadmill. I covered a little over 5.5 miles in 60 minutes during this workout. There’s a walking interval from minutes 30 to 35, so this workout can easily be shortened to 35 minutes if needed. 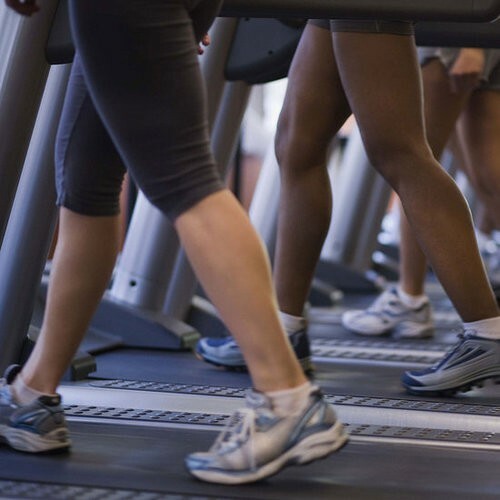 Keep on reading for two more treadmill workouts. When I’m short on time, I like to challenge myself to run three miles as fast as I can. I love a challenge, so trying to beat my previous mile gets me excited about my workout. If you’re not into running, a three-mile power-walking challenge also will work! Run second mile. Try to improve your time from the first mile. Run third mile. Try to improve your time from the previous two miles. How Much Sodium Is In That? 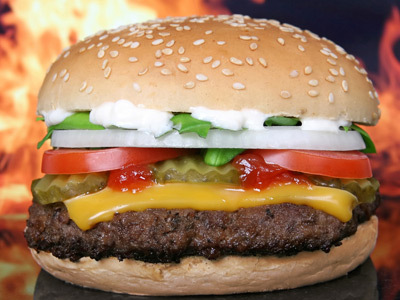 Processed foods are popular because they’re convenient, even though we all know junk food is bad for us. 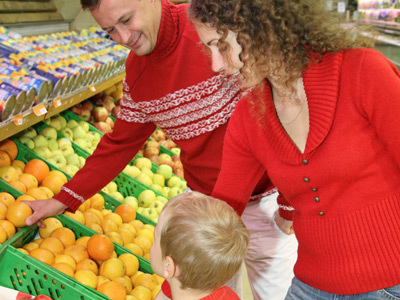 Families with children are particularly susceptible to the lure of processed foods because they are so pressed for time. But while they’re fine on occasion, the easy, cheap calories in processed foods are damaging our health and it’s best to avoid them whenever possible. Here’s a look at the very worst offenders. 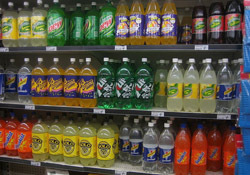 SODA – Regular sodas are loaded with sugar and, with little to no nutritional value, should only be consumed very infrequently. But what’s surprising is that diet soda drinkers are actually more likely to develop metabolic syndrome and in some studies appear more likely to gain weight. 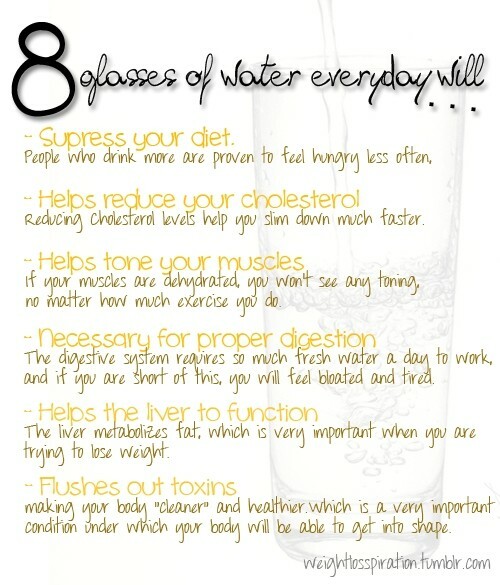 While the causes aren’t clear, one thing we know for certain is that there’s nothing wrong with an old-fashioned glass of water, which keeps the body hydrated, and promotes better digestion, and protects tissue and organs. 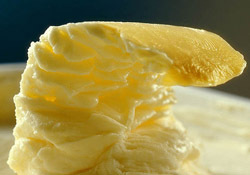 MARGARINE – Think of stick margarine as a big block of trans fat — hydrogenated oil helps liquid oils to be solid at room temperature, and is a key ingredient in margarine. Trans fat adversely affects both good and bad cholesterol, not to mention increasing triglycerides, lipoprotein, and inflammation. For buttery goodness, go with the real thing, or opt for a flavorful olive oil. Boost flavor with herbed compound butter. 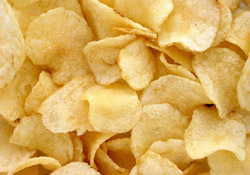 POTATO CHIPS – Nobody thinks potato chips are good for you, but according to a very broad study of obesity published in the New England Journal of Medicine, no single food contributed more to obesity than potato chips. It may seem strange that a food that’s not a sweet would top the list, but potato chips are a food that people just naturally overeat. FRENCH FRIES – A small serving of french fries has about 275 calories and nearly 15 grams of fat, but the real issue is the nearly 4 grams of trans fat in a single serving. 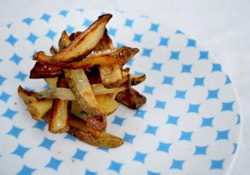 For a healthier option, try simple roast potatoes or homemade oven fries. 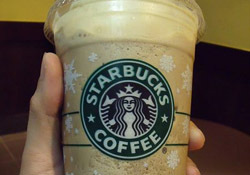 BLENDED COFFEE DRINKS – A grande vanilla frappuccino from Starbucks without whipped cream has 300 calories. The same amount of black coffee has five calories. Better to get your caffeine fix without getting your sweets fix. But if you must feed your sweet tooth, you would actually get less calories from drinking a cup of coffee and eating some fudge. The 10 most expensive ways to enjoy coffee. MICROWAVE POPCORN – Popcorn is often touted as a healthy snack option, but beware since lots of name-brand microwave popcorn is actually full of trans fat —one brand has 5 grams of trans fat per serving (even more than margarine). 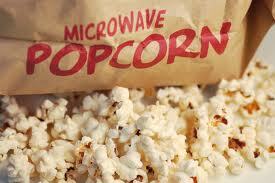 Microwave popcorn can also be packed with sodium. Don’t skip the popcorn all together, but consider buying a plain variety and adding your own flavors, or reading the label very carefully before you buy. HOT DOGS – This one hurts because hot dogs are a personal favorite. 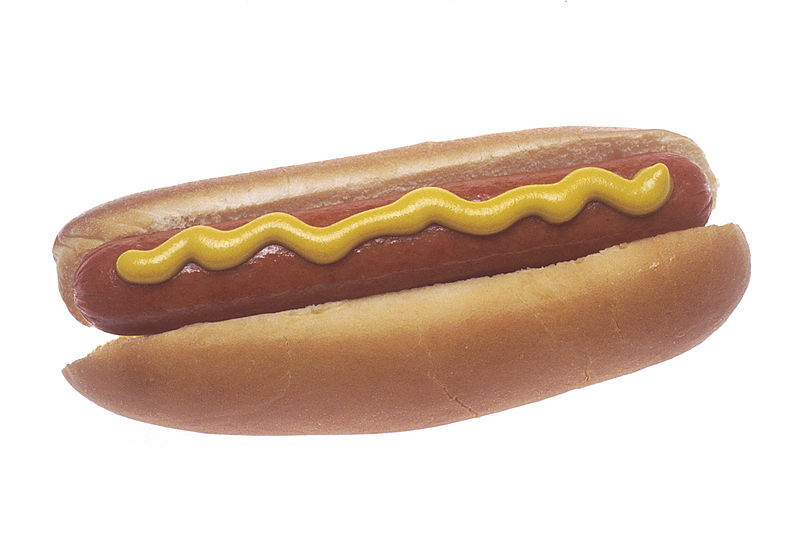 But even if you can put what parts of the animal are actually in them out of your mind, one hot dog still has 20 percent of your daily recommended intake of sodium and is loaded with saturated fat to boot. 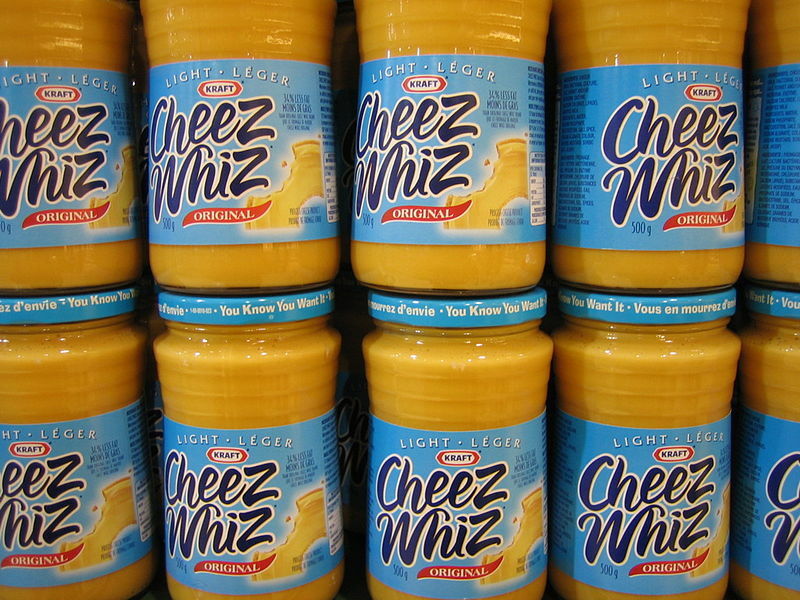 PROCESSED CHEESE DIP – Two tablespoons of Cheez Whiz have 90 calories. That compares favorably with something like mayonnaise, but whereas two tablespoons of mayo is more than enough, the amount of Cheez Whiz you eat with something like nachos is a lot more than two tablespoons. It’s also loaded with fat and sodium. GROCERY STORE COOKIES – Sugary and loaded with fat, these high-calorie cookies aren’t completely awful for you if you stick to the serving size. 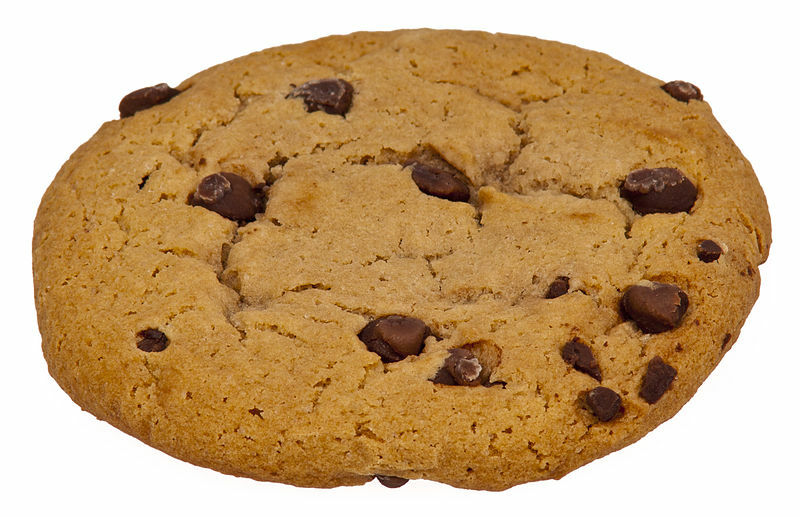 Three cookies come in around 160 calories (or over 50 calories each) with about 8 grams of fat. But the thing is, are you really only going to eat three chocolate chip cookies? DOUGHNUTS – I’m sure you don’t need me to tell you that these aren’t very good for you. A single glazed donut has about 260 calories and 14 grams of fat, including 30 percent of your daily allowance of saturated fat. 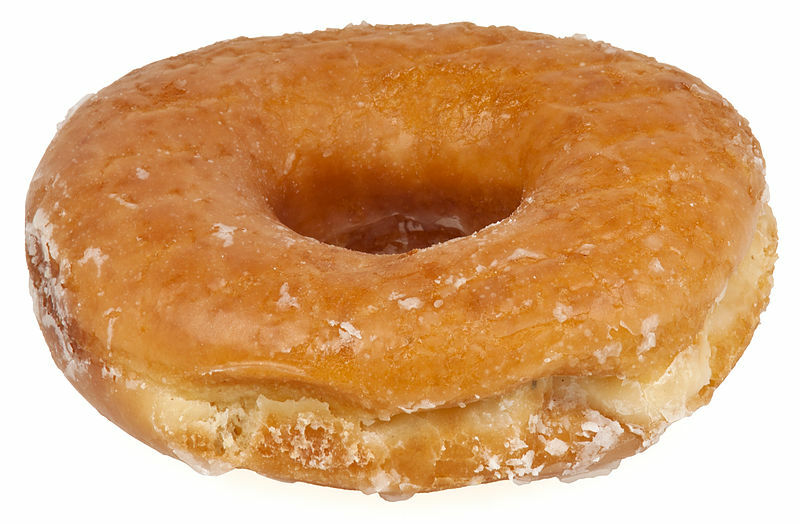 Though many kinds are now free of them, donuts frequently contain trans fats too. 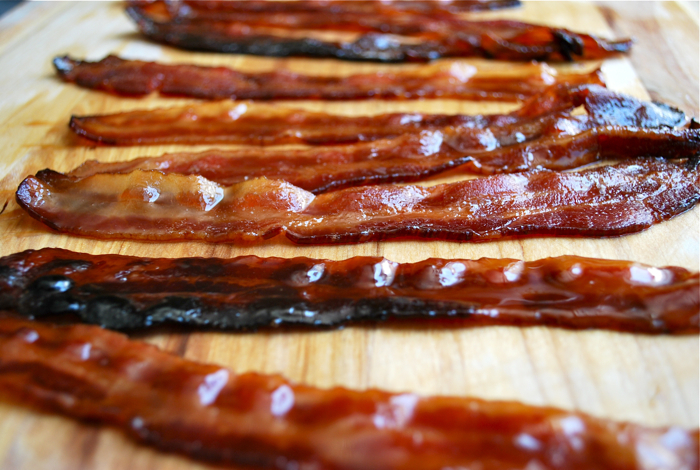 BACON – Look, I don’t want to diss a fave, but bacon is a processed meat that’s loaded with fat, saturated fat, and sodium. Just 2 strips of bacon have 12 percent of your DV sodium! Most bacon also contains nitrates and other preservatives. 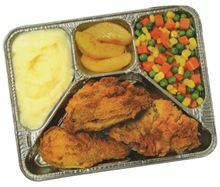 FROZEN DINNERS – Not all frozen dinners are created equal, and the processed food industry is rife with “health washing.” Keep in mind that many brands serve up salty, fatty dishes, and “healthier” options may have questionable additives and ingredients, or compensate for a loss of other flavors with loads of sodium. 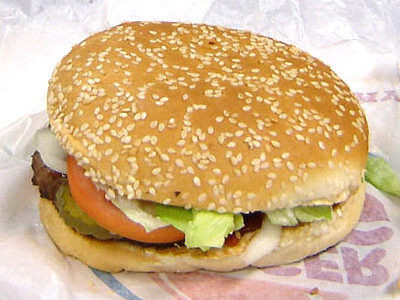 GIANT FAST FOOD HAMBURGERS – Hamburgers are getting bigger and bigger, but here we’ll stick with the modestly enormous BK Double Whopper which has 990 calories, 2.5 grams trans fat, 195 milligrams cholesterol, and 1,520 milligrams sodium. Yum? 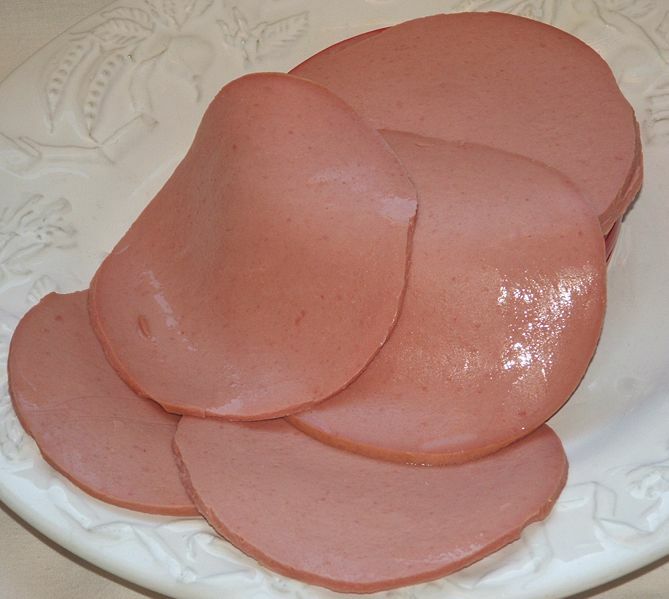 BOLOGNA – Just 2 slices of bologna have over 600mg of sodium which is over 20 percent of the recommended daily value. Even worse is that bologna is most often marketed to kids. Steer clear of this salty, preservative-filled mystery meat. 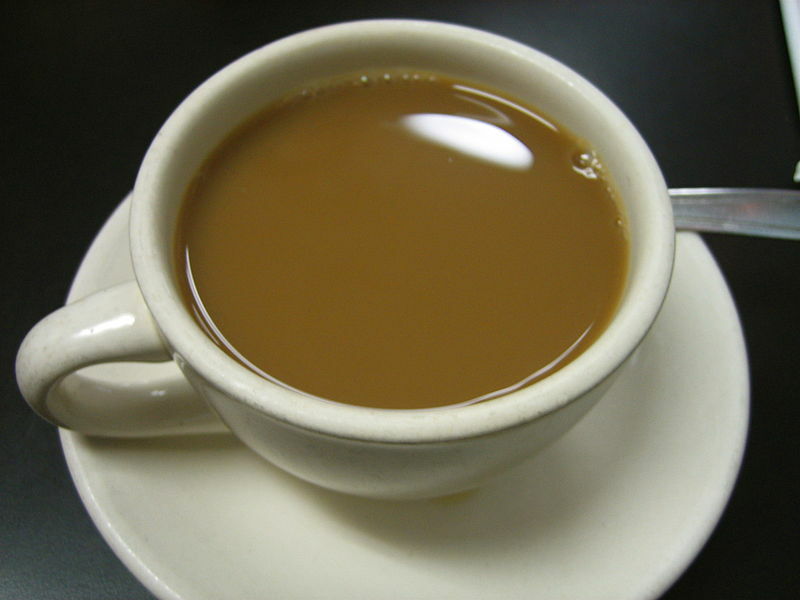 NON DAIRY CREAMER – Made with partially hydrogenated oil, most non-dairy creamers contain trans fat. The label will tell you otherwise, but only because the serving size is miniscule — 1 teaspoon. I’d need at least 10 teaspoons for my morning coffee! Stick to alternative milks like soy and nut if you can’t have dairy. Copyright © 2012 Spanfeller Media Group, Inc. All Rights Reserved. By Dr. Alexander Chernev, Author of The Dieter’s Paradox: Why Dieting Makes Us Fat, the following is an excerpt from the book. Dr. Chernev is a psychologist who is studying how people make choices. Our weight-loss efforts are often derailed by our focus on short-term results and lack of commitment to a particular course of action. Even when we are devoted to the idea of dieting, we seem to have trouble staying loyal to the chosen dieting plan. The following strategies can help curb this consistency bias. Mindless eating has become ingrained in our lifestyle. Too often we eat out of habit, grabbing things just because they’re out there in plain sight, waiting to be eaten. To get a grip on these subconscious impulses, make indulgences less frequent, less prominent, and less convenient. Avoid temptations by banishing them from your daily routine. Our myopic focus on immediate results makes us seek drastic solutions, downplaying the effect of incremental changes. We fail to visualize the long-term impact of our short-term actions and refuse to believe that skipping a 400- calorie muffin every morning could reduce our annual calorie intake by as much as 150,000 calories (equal to the recommended calorie intake for 60 full days). Over the long run, small changes produce big results. 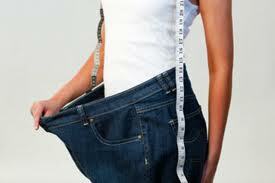 Having the vague goal of “dieting” without a defined action plan can hardly help one lose weight. To be actionable, goals need be specific: they must pinpoint the desired outcomes and set a time frame for achieving these outcomes. Writing down goals makes them easier to share, which further strengthens our commitment and makes us more accountable for reaching them. Set actionable goals and fortify your commitment by writing down and sharing these goals. Variety can both facilitate and hamper weight-management efforts. Abundant variety makes us eager to try all the different options available and in many cases leads to overconsumption. Not enough variety can lead to boredom and increased consumption because lack of novelty blunts satisfaction and delays satiation. Introduce variety into your menu while controlling total consumption. Diets based only on inhibition are short-lived: they produce short-term results and are often followed by a rebound. 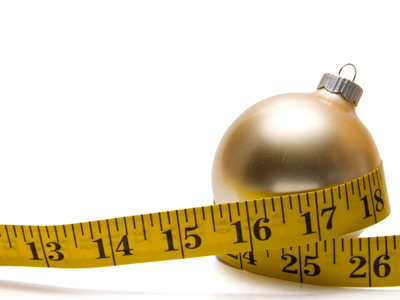 (This is why many crash diets create repeat customers!) The goal is not to conquer the indulgent urges but to pacify them with sensible rewards. Focus on what to achieve, not just what to avoid. Thinking about food in terms of consumption episodes makes us vulnerable to the “what-the-hell” effect. Once we break our diet, we consider the entire meal or event “spoiled” and consequently overindulge in the very behavior we’ve been trying to avoid. Break away from the “what-the-hell” mentality. Copyright © Beliefnet, Inc. and/or its licensors. All rights reserved. Vegetarianism is not viewed to me as just a diet, but a different way of thinking, a different lifestyle. My overall goal is to share the passion of healthy living as well as to make this healthy lifestyle known to as many people as I possibly can. So join me today and become a part of the reasons. 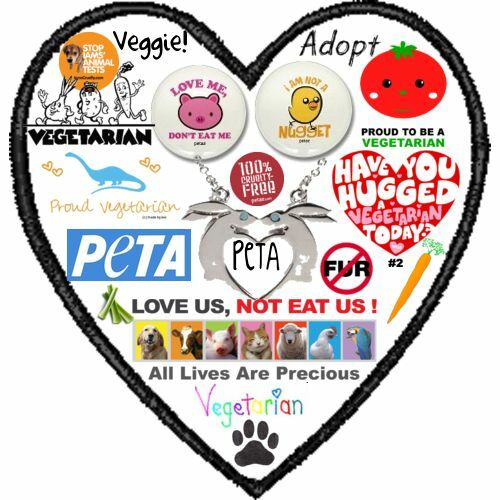 Reasons To Become A Vegetarian – No matter what type of Vegetarian you choose to be! Numerous University studies have found that vegetarians live about seven years longer than non-vegetarians, and vegans live on average about 15 years longer than meat eaters. Studies such as these are further confirmed by the Chinese Health Project, which is the largest population study on diet and health to date. The Chinese Health Study found Chinese people who eat the least amount of fat and animal products have the lowest risk of heart attack, cancer, and other serious diseases. In addition to this, proof comes from a British research group that tracked 6,000 Vegetarians and 5,000 meat eaters for 12 years to find that vegetarians were 40 percent less likely to die from cancer during that time and 20 percent less likely to die from other diseases. See the Vegetarian FAQ! Veggies are the best source for fiber, which pushes waste out of the body. Meat contains no fiber and collects against the walls of the digestive tract, which can lead to colon cancer. Studies done at Harvard and Brigham Women’s Hospital concluded that people who ate a high-fiber diet had a 42 percent lower risk of diverticulitis. People who eat a high percentage of vegetables in their diets also tend to have fewer counts of constipation, hemorrhoids and spastic colons. Fruits and vegetables are loaded with antioxidant nutrients that protect the heart and the arteries. 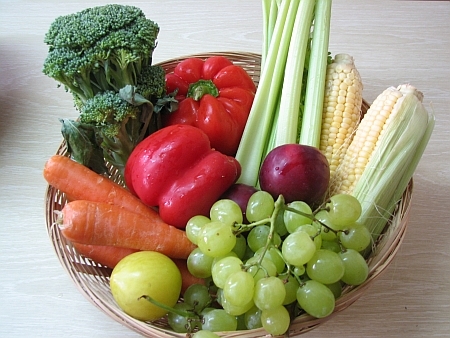 Fruits and vegetables contain no saturated fat or cholesterol. The cholesterol levels for vegetarians are on average 14 percent lower than meat eaters. The American diet that is loaded with saturated fats and cholesterol from meat and dairy have made heart disease the number one killer in the United States. 95% of pesticide residue in the Western diet comes from meat, fish and dairy products. Seafood, in particular, contain carcinogens (PCBs, DDT) and heavy metals (mercury, arsenic; lead, cadmium) that cannot be removed through cooking or freezing. Meat and dairy products are also laced with steroids and hormones that are injected into the animals to combat disease. Fruit and vegetable juices contain phytochemicals that help our bodies detoxify naturally. Giving up meat helps rid the body of toxins (environmental pollutants, pesticides, and preservatives) that overload our systems and cause illness. Many of these additives cannot be assimilated and pool in various parts of the body. A great reason to become Vegetarian is on average, most vegetarians are slimmer than meat eaters. Vegetarian diets are much lower in calories than the standard American diet. 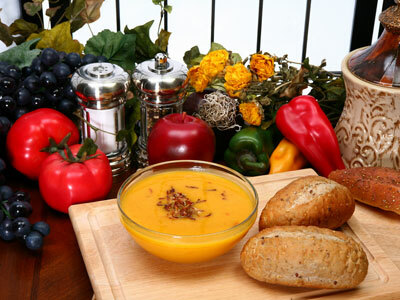 Vegetarians are also less likely to suffer from weight-related disorders like heart disease, stroke and diabetes. Vegetarian FAQ! By replacing meat, chicken and fish with vegetables and fruits, it is estimated to cut your food bill by an average of $4,000 a year. By being a Vegetarian you will help reduce waste and air pollution. A farms in Milford, Utah, which raises 2.5 million pigs yearly, produces more waste than the entire city of Los Angeles. And this is just one farm. Each year, our nation’s factory farms, collectively produce 2 billion tons of manure, a substance that’s rated by the Environmental Protection Agency (EPA) as one of the country’s top 10 pollutants. And that is not even taking in to account the amount of methane gas released by cows, pigs and poultry, which contributes to the greenhouse effect); the ammonia gases from urine; poison gases that emanate from manure lagoons; toxic chemicals from pesticides; and exhaust from farm equipment used to raise feed for animals. Right now, 72% of all the grain that is produced in the United States is fed to animals, which are raised for slaughter. It takes about 15 pounds of feed to get one pound of meat. But if this same grain was given directly to people, there would be enough food to feed the entire planet. Using land for animal agriculture is inefficient in terms of maximizing food production. According to the journal of Soil and Water, one acre of land could produce 50,000 pounds of tomatoes, 40,000 pounds of potatoes, 30,000 pounds of carrots or just 250 pounds of beef. You do the math! Albert Einstein was quoted as saying “Our task must be to free ourselves… by widening our circle of compassion to embrace all living creatures and the whole of nature and its beauty. Nothing will benefit human health and increase chances of survival for life on earth as much as the evolution to a vegetarian diet. FYI – Did you know that 22 million animals are slaughtered to support the American appetite for meat? It is a great feeling to finish a healthy meal knowing that no beings have suffered. COPYRIGHT © 2009 – 2012 The Knowledge Source, LLC. All rights reserved. It’s no secret that the American meat-heavy diet could use a serious overhaul. We consume nearly one and a half times more meat than most industrialized nations and use more than 50 percent of our water and land to raise livestock. This heavy reliance on animal protein is taking a toll on our health and contributing to a multitude of environmental concerns, including global warming, air and water pollution. While a full vegetarian diet may seem a bit too extreme, here are five good reasons to consider going meatless, at least part of the time. Health professionals have been warning us for some time now that diets high in meat load us down with saturated fat, increasing our risk for heart disease, diabetes and certain forms of cancer. According to Johns Hopkins School of Public Health, giving up meat even one day a week can reduce consumption of harmful fat by 15 percent. Further studies also point to a decreased risk of breast cancer in women who eat meat less frequently because saturated fat stimulates certain types of estrogen-receptive tumors. Diets heavy in meat really rack up the grocery bill. Pound for pound, animal proteins cost three times the amount of beans or whole grains, and going meatless now and again can make a serious dent in your food budget. Unlike the minimal storage life of meat, canned or dried ingredients used in many vegetarian recipes stay fresh in your pantry for months at a time, making bulk purchasing a further savings for the savvy shopper. Is there anyone out there who doesn’t need to watch calories? Going meatless can be very good for your waistline. Diets higher in complex carbohydrates (whole wheat, cornmeal, oats, potatoes, brown rice and beans) are low in fat and fill us up quickly, translating to lower calorie intake and fewer cravings between meals. Vegetarian meals are also richer in vitamins and minerals, especially when combined with plenty of fresh fruits and vegetables. There is growing evidence that human resistance to certain antibiotics is linked to similar substances used to prevent illness and promote weight gain in animals raised in factory farms, where most commercial meat comes from. Limiting quantities of poultry and red meat can help protect our immune systems from harmful byproducts and even contagious disease. 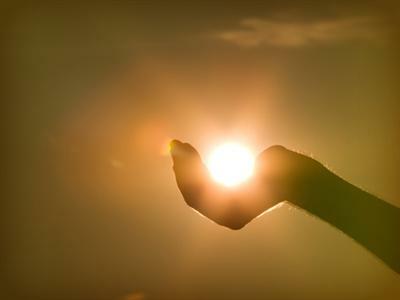 Climate change and global warming are high on our list of worries these days, and many of us wonder how we can make a difference. According to the Environmental Defense Fund, if every American skipped just one serving of meat per week, this would be the same as taking 8 million cars off the road. This would reduce overall meat production and supply transport, thus reducing greenhouse gas emissions considerably. If you are thinking about going meatless — at least some of the time — the trick is to shake up your menu gradually and experiment a bit. Start with one of your favorite recipes and see how simple it is to replace the meat with a vegetarian alternative. Beans make a delicious, protein-rich filling for Mexican favorites like tacos or burritos. Try topping homemade pizza with portabella mushrooms instead of pepperoni or sausage. Don’t give up too many of the foods you enjoy — just be creative and learn to prepare them in new, healthier ways. 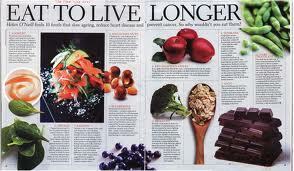 Even moderate changes can make an enormous difference in your health and contribute to the welfare of our planet. Source: Copyright © 2008-2012. All rights reserved. MyDailyMoment is a trademark of Flatiron Media, LLC. These recipes are delicious: That’s the first thing you need to know. And we’re not talking “delicious for diabetes-friendly” food—no, these are good without any ifs or ands. 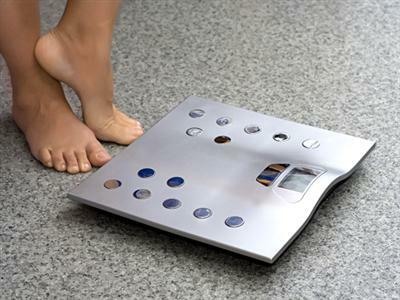 The only but is that all 10 of the following recipes are especially formulated to help flatten your belly and fight diabetes. Some are loaded with fruits and veggies, others feature lean proteins or fish, some contain whole grains—and all have an added dash of monounsaturated fatty acids, or MUFAs (moo-fahs) for short, which help target belly fat, control blood sugar levels, and reduce insulin resistance. Whether you’re craving French toast, pasta salad, or chicken parm these 10 meals will help keep your blood sugar steady, your taste buds happy and your belly nice and slim. 1. 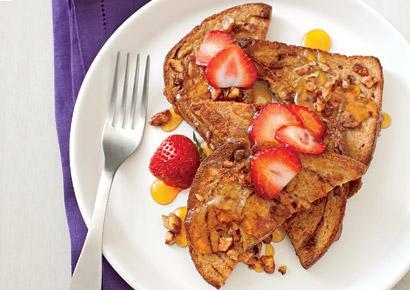 Strawberry Almond French Toast: It’s the quintessential Sunday morning breakfast—with a twist: Swap standard white for whole grain bread (one study showed that simple step could reduce your risk of type 2 diabetes by up to 20%); and top your toast with strawberries (which research suggests helps regulate blood sugar) and MUFA-rich almonds. 1. Beat the egg in a shallow bowl with the milk and cinnamon. Dip both sides of the bread in the egg mixture. 2. Melt the margarine in a nonstick skillet over medium heat. Cook the bread for about 2 to 3 minutes per side, or until golden. Cut in half diagonally. 3. Place half on a plate. Top with half of the strawberries and almonds. Cover with the other toast half and the remaining strawberries and almonds. *Chef’s Note – MAKE IT A FLAT BELLY DIET MEAL: Serve with 3 slices Applegate Farms Organic Turkey Bacon (105). 2. Tortellini Pasta Salad: Yes, you can most definitely still have pasta—just bulk up the dish with nutrient-rich vegetables, like broccoli— it’s packed with cancer-fighting vitamin A and it’s a good source of fiber, which helps slow the rise of blood sugar after you eat. 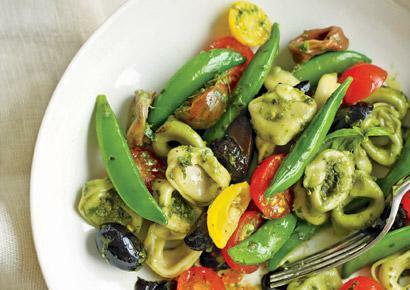 Stir in belly-flattening olives and 2 tablespoons of pesto for extra flavor and more MUFAs. 1. Place the tortellini into a large pot of boiling water. Cook according to package directions, stirring occasionally. Add the sugar snap peas, carrots, and broccoli and cook for the last 3 minutes, or until tender but still crisp. 2. Drain the pasta and vegetables, and rinse with cold water. Place into a large bowl and toss with the pesto. Gently fold in the tomatoes, olives, and pepper. Garnish with basil, if using. *Chef’s Notes – A SINGLE SERVING OF THIS RECIPE COUNTS as a Flat Belly Diet Meal without any add-ons. 3. Guacamole and Chips: You’ve heard people say avocado is full of “good” fat, but do you know how good it is? Research suggests MUFAs (found in avocados and other foods) not only help you lose weight and shrink belly fat, but they specifically reduce visceral belly fat—the dangerous kind found deep in your abdomen and strongly associated with prediabetes and diabetes. That’s good stuff. So enjoy your guac, but skip the store-bought chips (even if they come in a cool shape); instead, slice healthier whole wheat tortillas into wedges and bake until crisp and almost puffy. 1. Place the avocado, tomato, onion, cilantro, lime juice, pepper, salt, and hot sauce (if using) in a medium bowl. Stir until combined. 2. Preheat the oven to 350Â°F. Spread the tortillas on a work surface. Coat lightly with vegetable oil spray. Sprinkle lightly with chili powder. Flip the tortillas and repeat with the spray and chili powder. 3. Place the tortillas in a stack. With a serrated knife, cut the stack into 8 equal wedges. Spread the triangles out on a baking sheet or sheets so they are not touching. Bake for about 10 minutes, or until crisp and starting to puff. Let stand to cool. 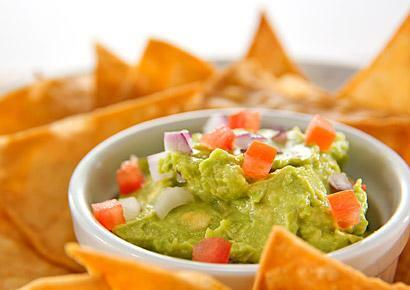 Serve right away with the guacamole or store in an airtight container. *Chef’s Notes – MAKE IT A FLAT BELLY DIET MEAL: Serve with 1/2 cup mashed black beans (110) and 1/2 fresh mango (67). 4. 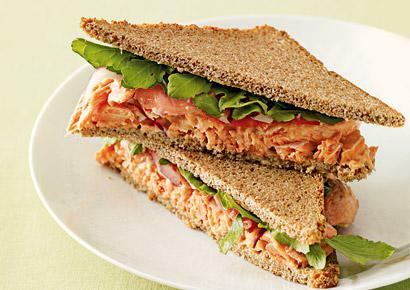 Salmon Sandwiches: Salmon is an excellent source of omega-3. Omega-3s help cool chronic inflammation in the body, a major contributor to age-related conditions like insulin resistance and diabetes. 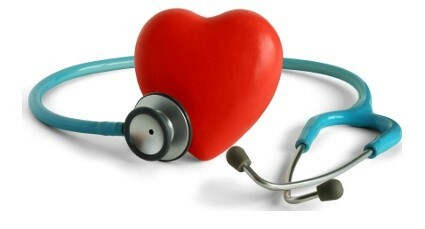 Plus, studies show consuming healthy amounts of fish significantly reduces your risk of heart disease. Stick to two servings a week—and choose the kinds with lower levels of toxins, like wild salmon (available in less expensive cans versus pricier fillets), as well as mackerel and herring. 1. Combine the mayonnaise and 1/4 teaspoon of the wasabi paste and stir until smooth. Add more wasabi, if desired, to suit your taste. Gently fold in the salmon. 2. Place 4 slices of the bread on a work surface and top each with 1/2 cup of the salmon mixture, 1 onion slice separated into rings, 1 pepper ring, 1 teaspoon ginger, and 1/4 cup arugula. Top with the remaining 4 slices of bread. *Chef’s Notes – MAKE IT A FLAT BELLY DIET MEAL: Serve with 1/4 cup frozen, thawed shelled edamame (61). 5. Chicken Parmesan: Mix finely chopped pine nuts into the bread crumbs before coating the cutlets for an extra boost of MUFAs. A large international study found people with type 2 diabetes who followed a Mediterranean-style diet enriched with MUFAs dropped fasting blood sugar levels by up to 30 points—that’s enough to perhaps reduce doses of diabetes medications, or even eliminate them altogether. Make the bread crumbs whole wheat and you help protect your heart, too. 1. Preheat the oven to 425Â°F. Coat a baking sheet with cooking spray. 2. Whisk the egg with the water in a shallow dish. Combine the pine nuts, bread crumbs, and seasoning in another shallow dish. Dip the chicken into the egg and then the nut mixture. Place the chicken on the prepared baking sheet. 3. Bake for 10 minutes. 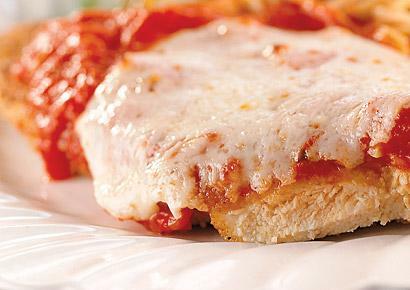 Turn the chicken over and top each with 1/2 cup of the marinara sauce and some of the cheese. Bake for 5 to 10 minutes longer, or until the cheese has melted and the chicken is cooked through. *Chef’s Notes – MAKE IT A FLAT BELLY DIET MEAL: Serve with 2 cups steamed spaghetti squash (84). 6. 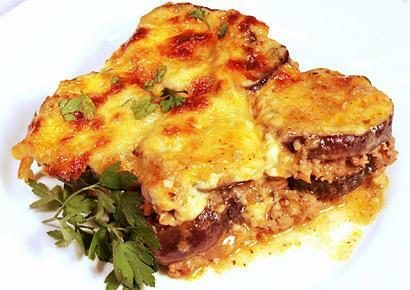 Greek Eggplant Casserole: The Greeks like beef in their casserole, so don’t skimp—the meat is good for you. Studies show diets high in protein help you better manage blood sugar. (The fiber in eggplants does, too.) Plus, protein contains an amino acid called leucine that helps preserve more muscle when you diet—the more muscle you have, the more calories your body burns all day Just be sure to choose 97% lean ground beef to limit unhealthy saturated fat. 1. Heat the broiler. Coat a 9″ x 9″ baking dish and a large baking sheet with olive oil cooking spray. 2. Heat a large skillet coated with cooking spray over medium-high heat. Cook the onion and garlic for 3 minutes, or until the onion begins to soften. Add the beef and cook for 5 to 7 minutes, stirring often, or until the beef is browned and cooked through. Stir in the tomatoes (with juice), tomato paste, cinnamon, and allspice. Bring to a boil. Reduce the heat to low and simmer for 10 minutes. 3. Place half of the eggplant on the prepared baking sheet and brush with 3 tablespoons of the oil. Broil 6″ from the heat for 10 minutes or until browned, turning once. Repeat. 4. Whisk together the milk and cornstarch in a small saucepan. Bring to a simmer over medium heat and cook, whisking, for 8 minutes, or until thickened. Remove from the heat and stir in the cheese. 5. Layer half of the eggplant in the baking dish, then half of the meat sauce. Repeat. Spread the cheese sauce on top. Broil for 3 minutes, or until just starting to brown. *Chef’s Notes – MAKE IT A FLAT BELLY DIET MEAL: Serve with 1/2 cup fat-free Greek-style yogurt (60). 7. Barbecue Pulled Pork: It’s hearty, full of flavor, and feels totally indulgent, but the nutrition facts prove otherwise: This barbecue pork recipe is just over 400 calories per serving (a good amount for a healthy meal) and packed with satisfying protein, and the healthy fats in the olive oil may help reduce metabolic syndrome, according to a Spanish study of over 1,200 adults. Metabolic syndrome is a cluster of conditions that lead to prediabetes and diabetes, as well as heart disease and stroke. Just be sure to plan ahead for this one—the meat needs to slow-cook for almost 2 hours. 1. Heat the oil in a 4- to 6-quart pot over medium-high heat. Add the pork loin and brown, turning occasionally, for 5 minutes. 2. Add the onion and cook for 5 minutes more, or until the onion starts to turn golden. Add the ketchup, vinegar, molasses, sugar, mustard powder, garlic powder, Worcestershire sauce, black pepper, and broth. 3. Stir well to combine and bring to a boil over medium-high heat. Reduce the heat to low, cover, and simmer, stirring occasionally, for 1 1/2 hours. 4. Uncover the pot and simmer 10 minutes longer, or until the sauce has thickened slightly and the pork is very tender. Remove from the heat. 5. 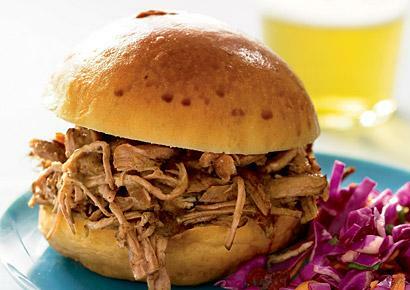 Pull the pork into shreds with two forks and serve on whole wheat hamburger buns. *Chef’s Notes – A SINGLE SERVING OF THIS RECIPE COUNTS as a Flat Belly Diet Meal without any add-ons! 8. 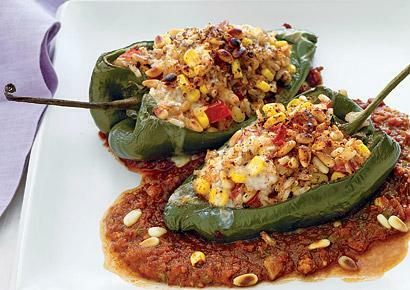 Mexican Stuffed Peppers: Jalapeño peppers and chili powder give this veggie dish some Mexican heat; the cheese gives you calcium to build strong bones and burn more fat; the brown rice gives your body insoluble fiber to help keep blood sugar steady; and the tomatoes provide carotenoids that help protect against cancer. 1. Preheat the oven to 400Â°F. Put the pine nuts in a small baking dish or skillet for about 8 minutes to lightly toast while the oven heats. Tip onto a plate. 2. Combine the jalapeno pepper, garlic, stewed tomatoes with juice, broth or water, and 1 tablespoon plus 2 teaspoons of the chili powder in the bowl of a food processor fitted with a metal blade. Process to a medium-coarse texture. Pour into a 9″ x 13″ glass baking dish and set aside. 3. Mix the rice, corn, plum tomatoes, onion, egg whites, salt, toasted nuts, and remaining 1 teaspoon chili powder in a medium bowl. Halve the poblano or Cubanelle peppers lengthwise and remove the stems and seeds. Spoon about 1/2 cup of the stuffing into each pepper half and place stuffed side up in the reserved sauce in the baking dish. 4. Cover the dish with foil and bake for 40 to 45 minutes, or until the peppers are tender. 5. Remove the foil and sprinkle the peppers evenly with the cheese. Bake for 5 to 8 minutes longer, or until the cheese has melted. Serve the peppers with the sauce. 9. Roasted Potatoes with Blue Cheese & Walnuts: They’re the perfect side to a lean piece of broiled flank steak for two reasons. These potatoes are topped with coarsely chopped walnuts—studies show MUFAs help you lose weight, but Mediterranean-style diets that include nuts in particular help you keep the weight off. 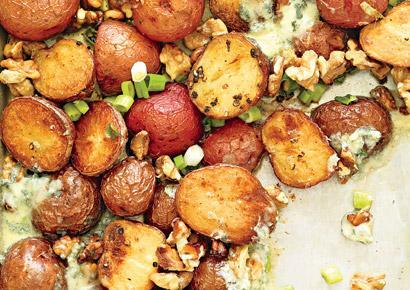 They’re also topped with blue cheese crumbles—and those are just delicious. 1. Preheat the oven to 425°F. Coat a 9″ x 9″ baking dish with cooking spray or line with parchment paper. 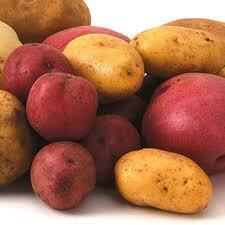 Place the potatoes in the prepared dish and toss with the oil, pepper, and salt. Turn cut side down in the pan. Roast for 30 to 35 minutes, or until very tender and lightly golden on the underside. 2. Meanwhile, put the walnuts in a small baking pan or ovenproof skillet and place in the oven to toast for 6 to 8 minutes. Tip into a bowl and let cool. Add the blue cheese and scallions and crumble with your fingers. 3. When the potatoes are done, turn them over and sprinkle evenly with the walnut mixture. Bake for 5 minutes longer, or until the cheese is melted. *Chef’s Notes – MAKE IT A FLAT BELLY DIET MEAL: Add 3 ounces lean broiled flank steak (165). Serve with 1/2 sliced apple (39). 10. 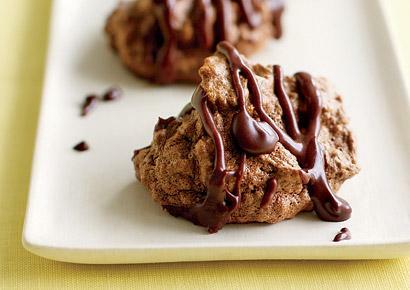 Chocolate Almond Macaroons: Not only can you sink your sweet tooth into these cookies without an ounce of guilt, but you’re encouraged to dunk the decadent confections into chocolate sauce before taking a bite. That’s because dark chocolate is packed with antioxidants called flavonols that keep arteries flexible, keep blood pressure low, and—when eaten in small quantities—even improve the way your cells absorb sugar. Just stick to healthy portions—and indulge once a day at most. 1. Preheat the oven to 325Â°F. Line 2 large baking sheets with parchment paper. 2. Toast the almonds in a large, deep skillet over medium heat, stirring often, for about 3 minutes, or until golden. Tip into the bowl of a food processor fitted with a metal blade. 3. Add 1 tablespoon of the sugar. Process until the almonds are finely ground. 4. Beat the egg whites with an electric mixer on high speed until the whites hold soft peaks. Gradually beat in the remaining sugar until the whites hold stiff peaks. Beat in the cocoa, vanilla, almond extract, and salt. Gently fold in the almonds. 5. Drop the mixture by rounded tablespoons onto the prepared baking sheets, leaving 1″ between each macaroon. Bake for 27 to 30 minutes, or until very lightly browned. Place baking sheets on a rack and let macaroons cool until firm. 6. Make the sauce by heating the chocolate, milk, and brown sugar in a small saucepan over low heat. Stir constantly until melted and smooth. Serve warm. Copyright ©2012 Rodale Inc. “Prevention” and “Prevention.com” are registered trademarks of Rodale Inc. All rights reserved. No reproduction, transmission or display is permitted without the written permissions of Rodale Inc. Sometimes, even foods that seem healthy can harbor hidden problems that can affect our health and our planet. Here are seven foods you should never eat—and easy swaps to help eliminate them from your kitchen. Right at the top of the “dirty dozen” list, conventional apples are sprayed with the most pesticides of almost any fruit because their growing method means they don’t develop natural pest resistance. Farm workers exposed to these pesticides have documented higher incidents of cancer, and more and more studies are linking pesticides in the body to Parkinson’s disease. 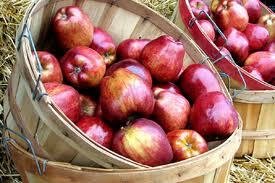 Make the switch: Buy organic apples! If you can’t afford organic, be sure to wash and peel apples before eating (although that won’t rid the fruit of all pesticides). Think about it: A potato is a root vegetable, and plants absorb nutrients—and other junk—from the soil through their roots. That means that potatoes take up and store more of the chemical fertilizers, fungicides and pesticides that conventional farmers spray on their crops. Plus, after they are harvested, conventional potatoes are treated with another chemical to prevent them from sprouting on the shelf. Because the potato stores these toxins in its flesh, just scrubbing (or even peeling) won’t remove the pesticides and other chemicals. Make the swap: Buy organic potatoes—even frozen ones. The biggest problems with corn-fed beef start with the corn, because cows evolved to eat grasses, not grains. 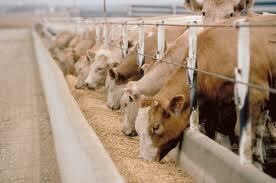 Eating corn actually makes the cattle sick, requiring that farmers dose them with high levels of antibiotics. But feeding corn to cows isn’t just bad for the cows; it’s bad for the environment, too, as conventionally grown corn requires tons of fertilizers and pesticides that pollute the environment. Make the swap: Buy grass-fed beef instead of corn-fed and enjoy higher levels of good nutrients like omega-3s and vitamin E, and lower levels of bad stuff like inflammatory omega-6s and saturated fat. Look for cheaper cuts on the bone to help offset the premium price for grass-fed beef. Tomatoes are a great source of lycopene, which can help guard against agressive cancers like prostate cancer. 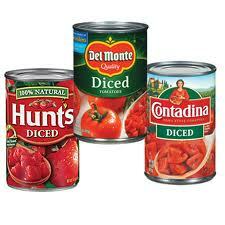 But the resin used to line tin cans to protect from corrosion by the acid in tomatoes contains bisphenol-A, or BPA, which acts as a synthetic estrogen in the body. It can disrupt the endocrine system and cause a variety of problems, like chromosomal and reproductive system abnormalities, impaired brain and neurological functions, cancer, cardiovascular system damage, adult-onset diabetes, early puberty, obesity and resistance to chemotherapy. Unfortunately, the acidity of tomatoes helps break down the BPA which leaches into the food, making canned tomatoes one of the biggest culprits when it comes to ingesting BPA. Scientists with the National Institutes of Health have concluded that pregnant women, infants and children are at highest risk from exposure to BPA. Make the swap: The best solution is to look for brands sold in glass jars or Tetra Pak boxes. Did you hear about the guy who got popcorn lung from eating more than two bags of microwave popcorn a day? 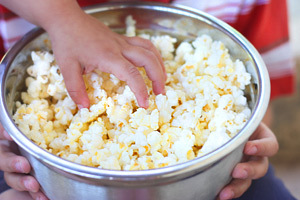 It turns out that even if your popcorn habit isn’t quite as extreme, chemicals like perfluorooctanoic acid (PFOA) found in the lining of the bag and diacetyl, which is used in the butter flavoring, could cause major health problems. Microwaving these chemicals causes them to vaporize, and then the miniature particles can make their way into your popcorn and your lungs if you inhale the steam from the bag. Make the swap: Pop your own kernels the old fashioned way. You’ll be able to add your own natural seasonings, and as a bonus, unpopped popcorn kernels are dirt cheap. 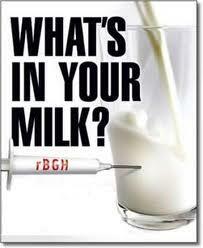 rBGH stands for recombinant bovine growth hormone, and it’s given to dairy cows to boost their milk production. But, it’s been shown to increase udder infections and even lead to pus in the milk! It also increases a hormone called insulin-like growth factor, which is thought to be linked to an increased risk for breast cancer, prostate cancer, colon cancer and early puberty. Make the switch: Look for milk that says rBGH-free or rBST-free, or buy organic milk. You can also make the switch to a non-dairy milk. When we think of factory farming, cows or maybe chickens tend to come to mind. 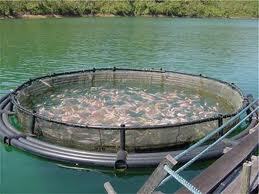 But, it turns out farmed salmon live in similarly horrible conditions. In addition to overcrowding, farm salmon are fed a diet of soy, poultry litter (which means chicken poop) and hydrolyzed chicken feathers. They also have been found to be contaminated with all kinds of chemicals—which probably are run off into the pools where they are farmed. Plus, waste from the salmon pens is released directly into the open ocean. The Environmental Defense Fund lists farmed salmon as an eco-worst choice. Make the swap: Look for wild-caught Alaskan salmon. The brand Wild Catch is almost the only brand which sells canned wild salmon.